Japanese Calligraphy is called “Shodo”. The word Shodo literally means the way of writing. 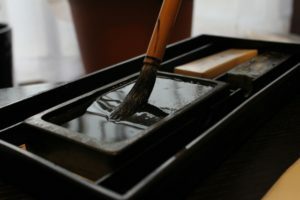 Shodo is writing letters with a brush using Indian ink on Japanese paper. 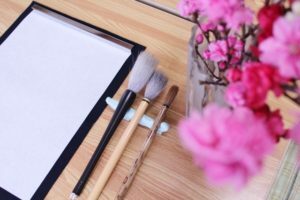 Although it is called Japanese Calligraphy, it is widely shared in East-Asian countries since it was born in China more than 2000 years ago. Shodo was introduced to Japan from China some 1500 years ago. At the same time, Chinese characters “Kanji” were also introduced, as Japanese did not have characters to write with. Japanese people at that time started to use Kanji to write Japanese. They actually used the Chinese ideographs as phonetic alphabet to express Japanese sound. Those Chinese characters used to express Japanese phonetics are called Manyo-gana. Manyo refers to the era in the 7th century when the oldest form of poetry, Tanka / Waka (thirty-one syllabled verse) flourished. 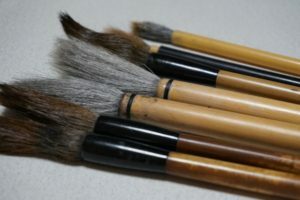 The techniques for brushstroke were also introduced. They developed into a few different schools of shodo over the course of time in Japan. 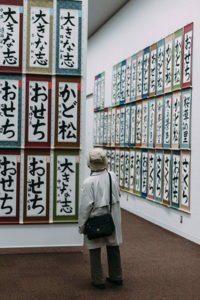 After two sets of domestic phonetic alphabets “kana”, katakana and hiragana, were invented by the 11th century, the writing in shodo started to include kana characters. There are four main elements in shodo. There are many types and quality of brushes, ink, paper and ink slab. 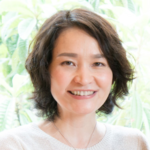 Those who study shodo go all the way to find the right one for their work. There are three styles of writing. The strokes are connected in semi-cursive and cursive styles. So, it is sometimes hard to distinguish what is written unless you are trained. But even if you cannot read what is written, you are supposed to enjoy it as art. I enjoy it as art. Some cursive calligraphy works are very impressive. Did you know shodo is not only for professionals, though? Once a week, there is a period dedicated for shodo. They often exhibit the work of students in the classrooms and hallways. Back in the days, I didn’t enjoy those shodo lessons much. I had to follow many rules and there wasn’t much room for originality. The hardest part was that I had to hold the brush vertically to the paper, it was supposed to be almost 90 degrees. You don’t hold a pencil like that and I never got used to it. I like seeing professional shodo works, though. They are dynamic, original and convey emotions. 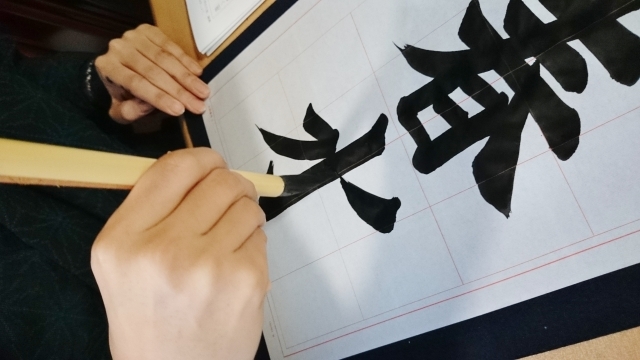 If you like Japanese calligraphy, try it in Japan. There are some services in Kyoto to let you experience shodo. Search “shodo experience” and there will be a few places you can try it. They will give you a cheat sheet to trace like you see in this video. Have fun!